If anyone is deserving of the ‘veteran’ tag in sport, Hunter Kemper is somewhere near the front of the queue, as the passionate 39-year-old American triathlete has been at the front throughout most of his 18-year career in the sport. 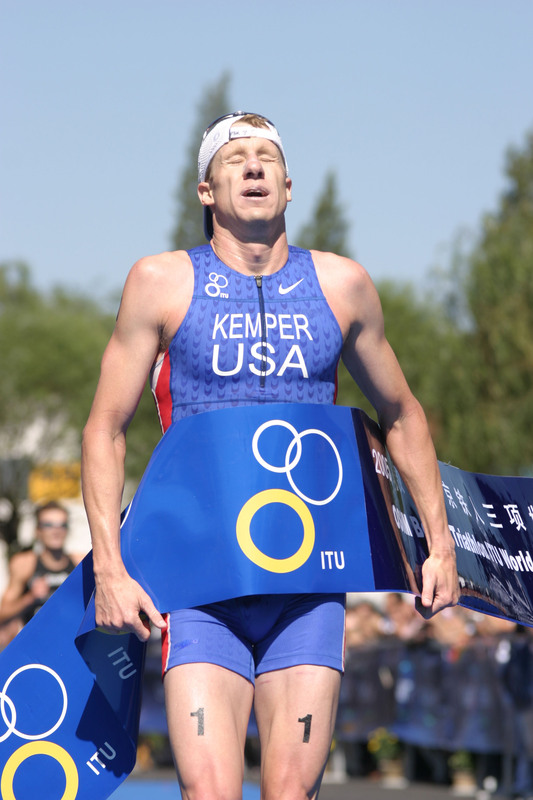 Already a four-time Olympian, Kemper is still on the ITU Circuit with an eye towards Rio, which would be an incredible fifth appearance on the sport’s biggest stage. If he completes the feat, he will be the only triathlete to have competed in every Olympics since triathlon was included on the programme in 2000. What is it then that motivates a man who has been around as the sport has evolved from a start-up to a bona fide professional sport? “After London, I took a long hard look at triathlon and where I wanted to go, what I wanted to do. Did I want to go longer or continue on with the ITU or do some non-drafting races in the USA? For me though it came down to the passion I have for the Olympic Games, I love the idea that every four years you see who can perform on the day. It is the biggest event and pinnacle in our sport and I love what that has to offer,” Kemper said. Kemper has been relatively quiet so far in 2015 but is working to a plan, one that he hopes has him on the USA team for Rio. Yet, despite his commitment to punching a fifth ticket to the Olympics, training for the better part of two decades can’t help but ware on an athlete. But motivation isn’t the only factor when it comes to lining up on the Copacabana Beach next year. While Kemper’s experience is simply unparalleled, the years of training have also taken a toll on his body. Add in that Kemper is himself a father of a brood large enough to field its own relay team, and the trip to Brazil gets even more complicated. “My life is so different to almost anyone else on the circuit, I have four kids at home and five chickens, I live a very different life. Recovery is hard to come by. I have a very supportive wife who stays at home and looks after the kids and allows me to do what I do, without that support I wouldn’t be able to do what I do and wouldn’t be where I am today. Although the American women appear to be nearly unstoppable this season, their men’s team hasn’t fared quite as well. In fact, Kemper is the only American man that has been ranked first in the world, which he accomplished in 2005-2006. But that’s something Kemper would like to see change. While Kemper is focused through 2016, he knows his years racing are limited. However, it’s a move he’s well prepared for. If anyone is well-placed to comment on the sport and where it currently sits, it is Kemper. He has witnessed firsthand the many twists and turns the sport has taken, and has been a part of its amazing evolution. And that is a compliment indeed from a man who might well be awarded the ‘Gold Standard’ for his contribution to the sport, a contribution that shows no signs of waning just yet.